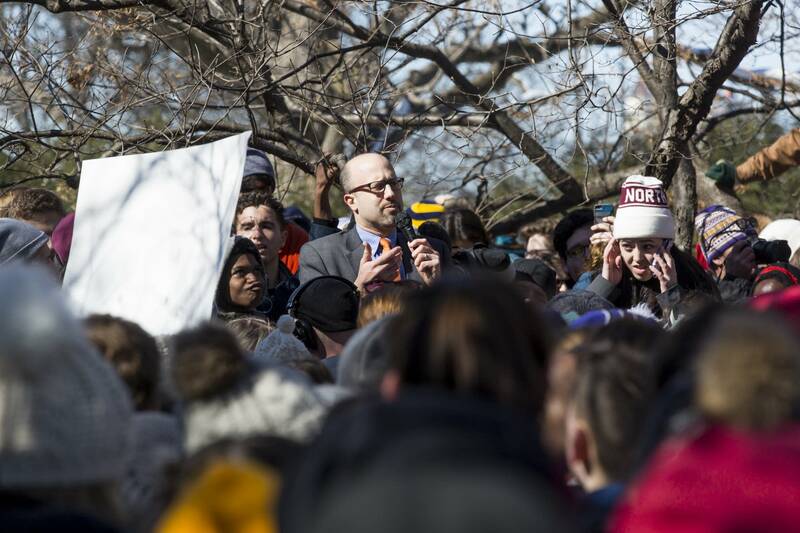 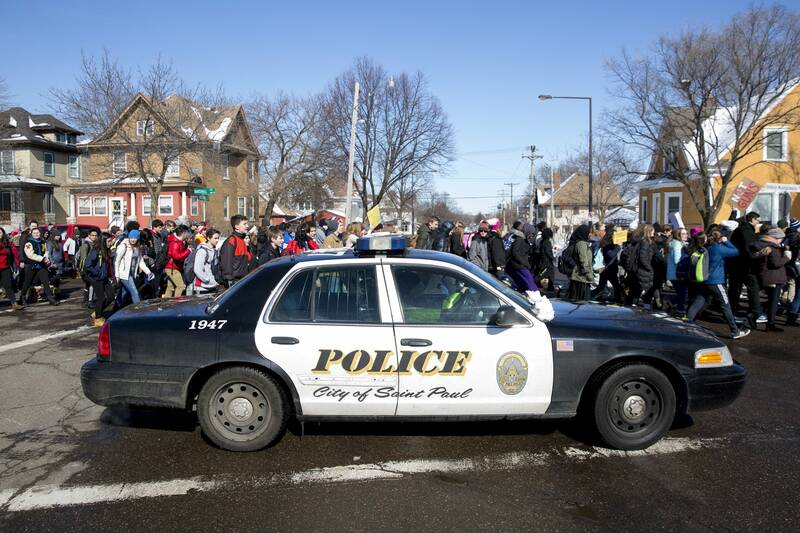 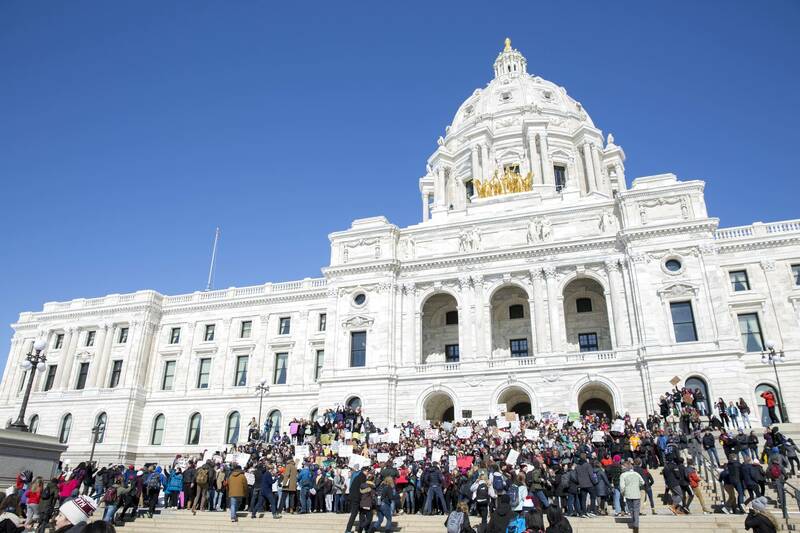 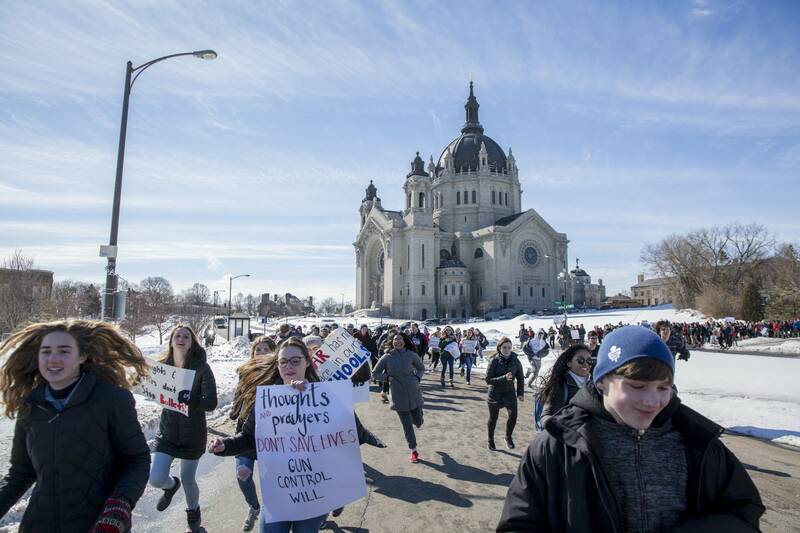 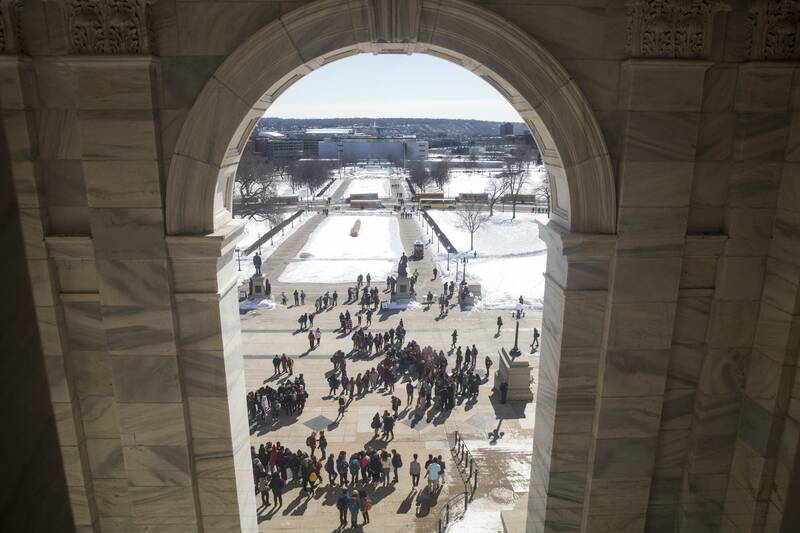 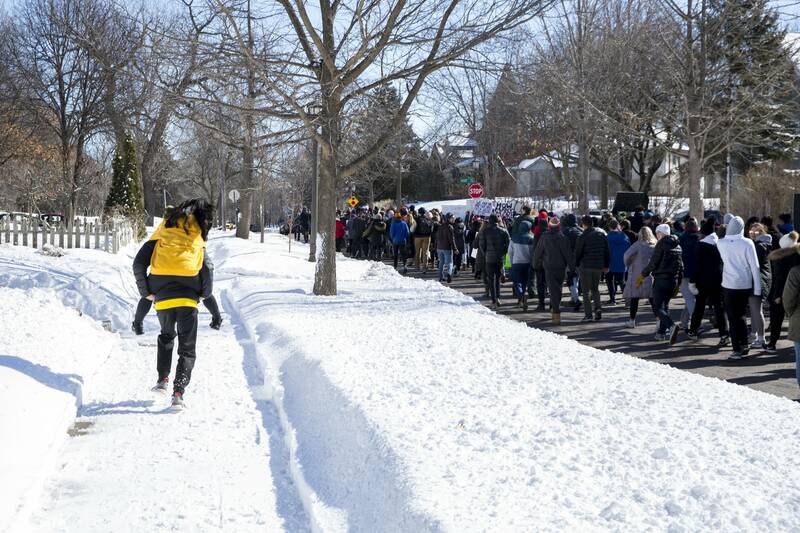 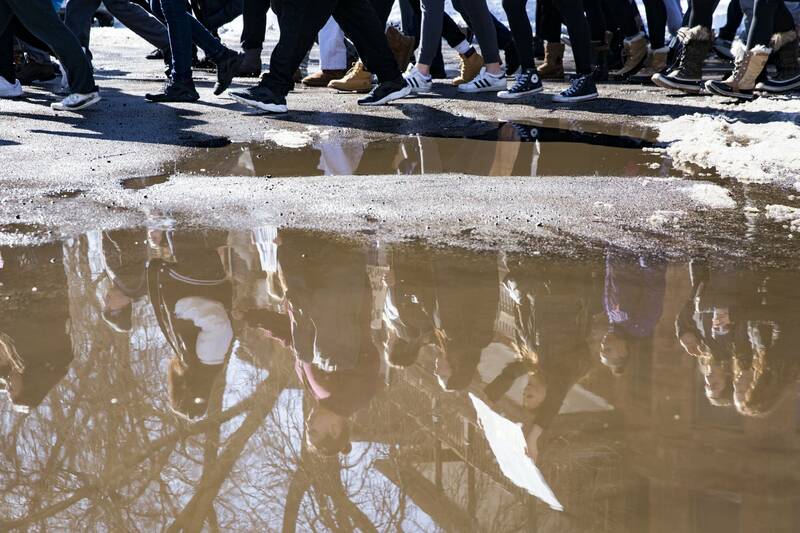 Thousands of students marched through St. Paul to the state Capitol Wednesday to voice their support for gun control, and call for an end to school violence. 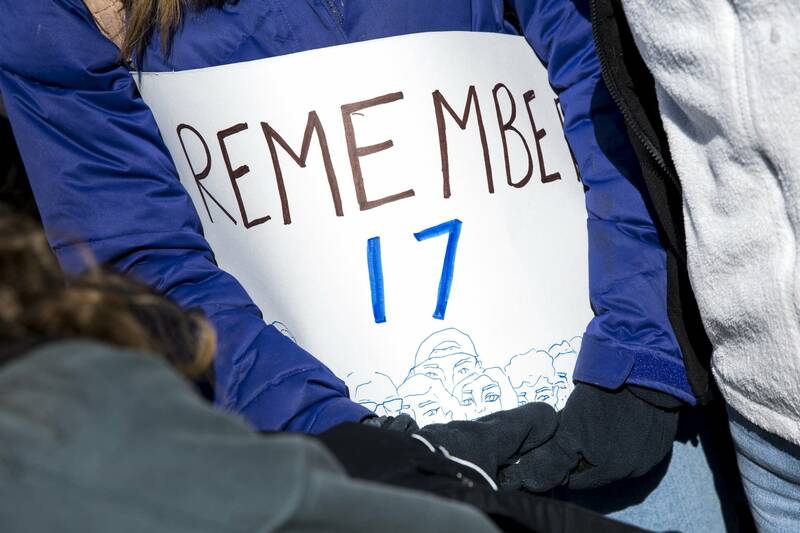 Chanting "gun control now", the students organized the march in the wake of the February shooting that killed 17 people at a Florida high school. 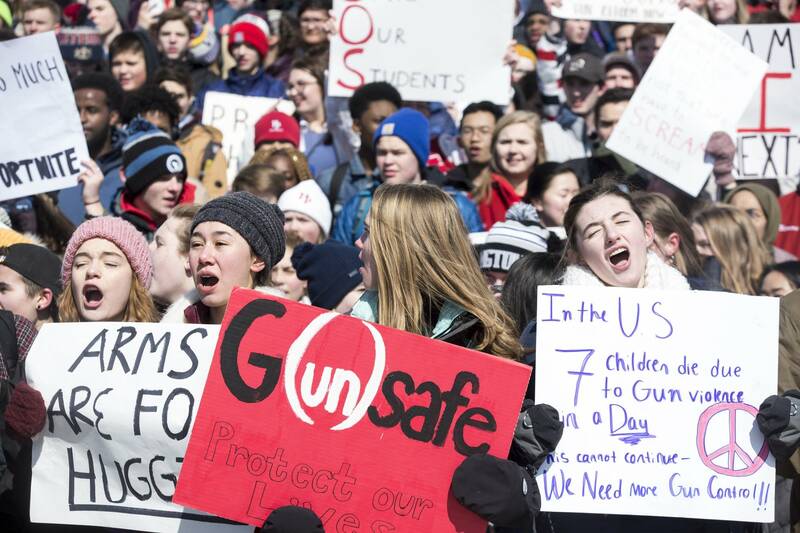 Some carried signs that read "protect kids not guns" and "make our schools safe again." 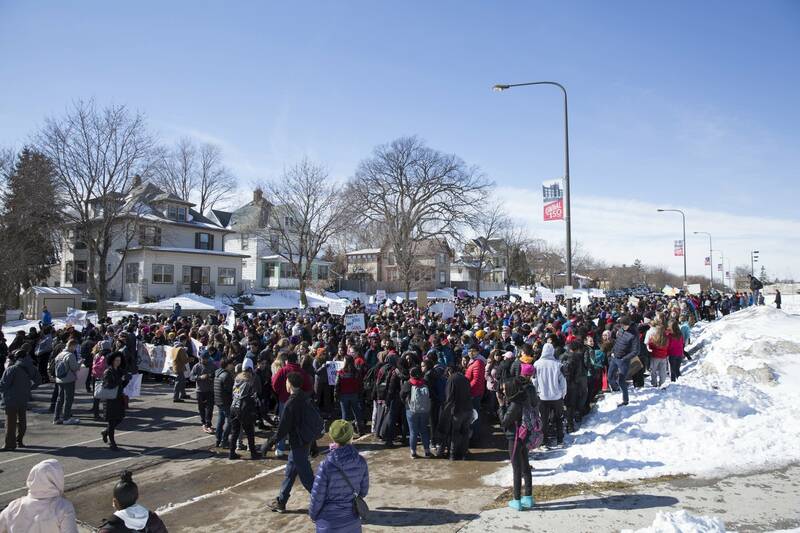 The march started at Central High School just before noon. 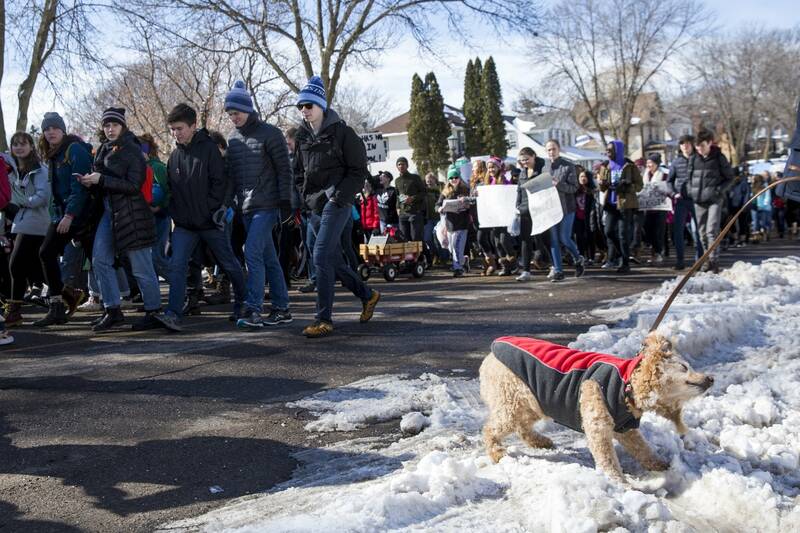 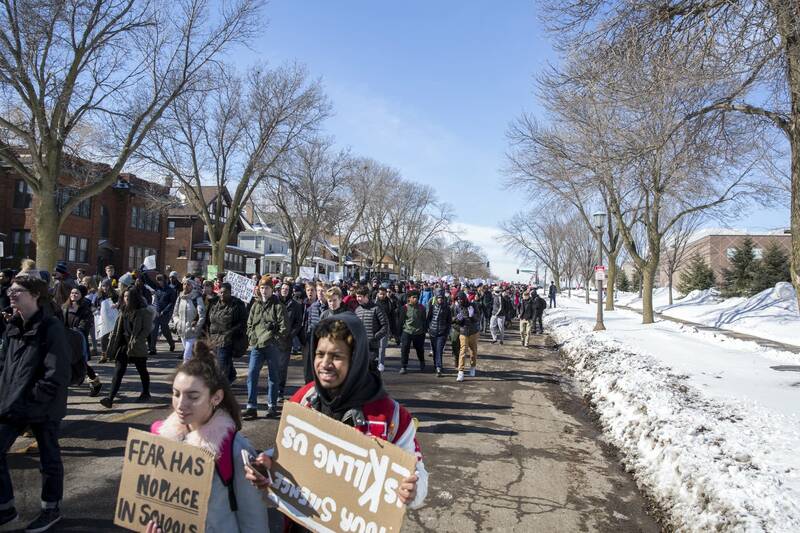 Marchers from Central were joined by students from a host of other schools, including St. Paul Academy, Cretin Derham Hall, Como Park and the St. Paul Conservatory for the Performing Arts. 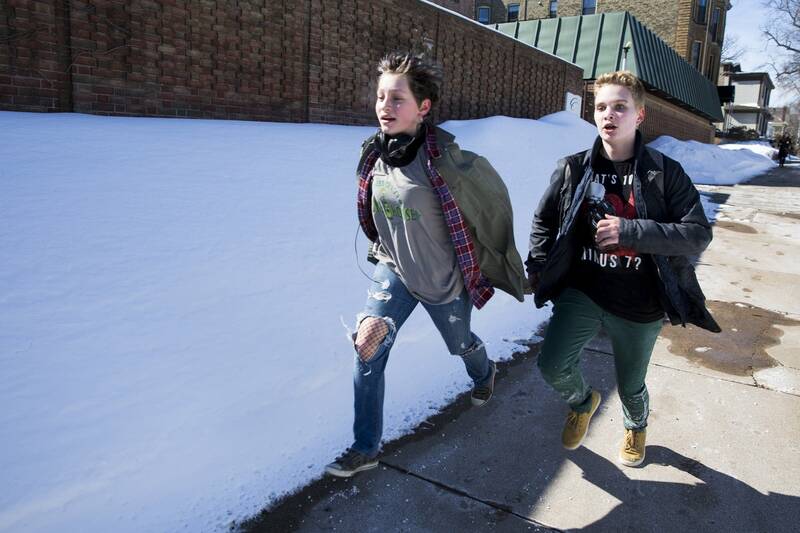 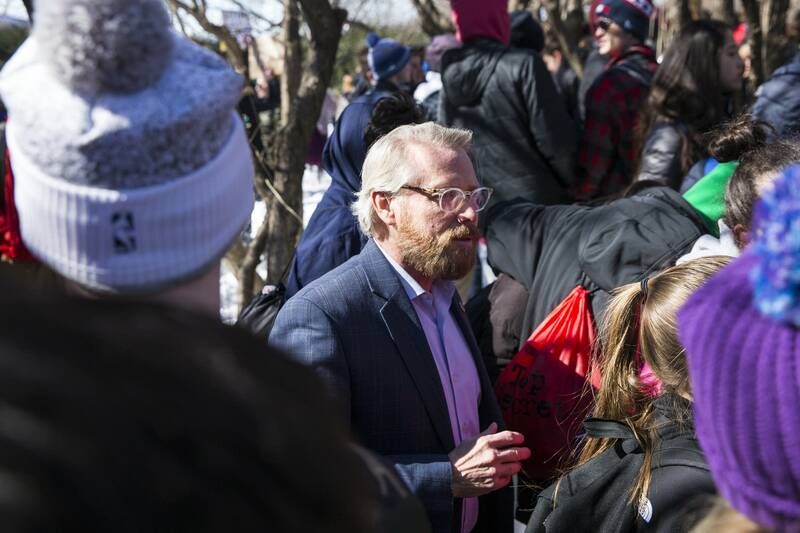 "It was very moving to see how many other students wanted this to end up. 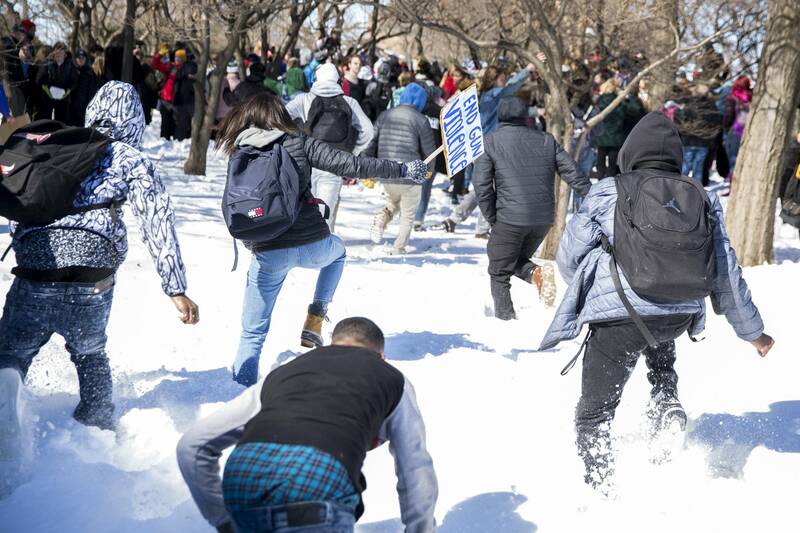 And I just thought I should come down and show support. 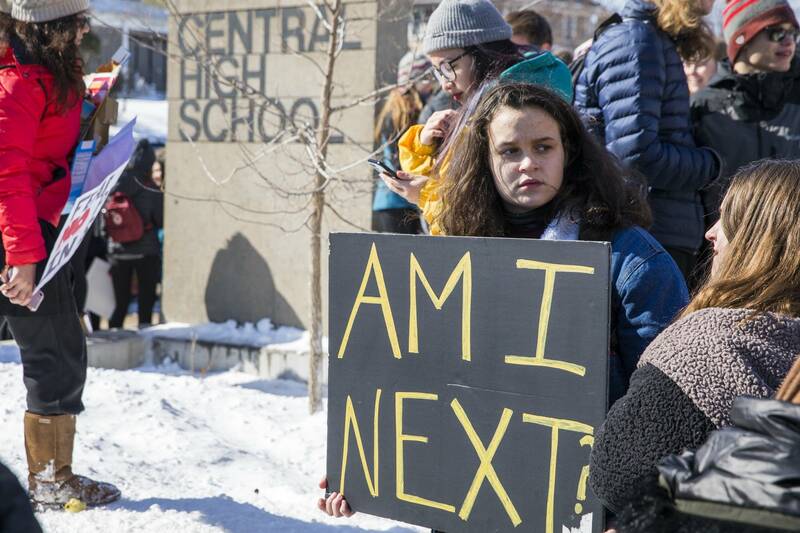 It's a very serious matter, in that students need their voices heard," said Miiskogihmiiwan Poupart-Chapman, who attends Harding High School. 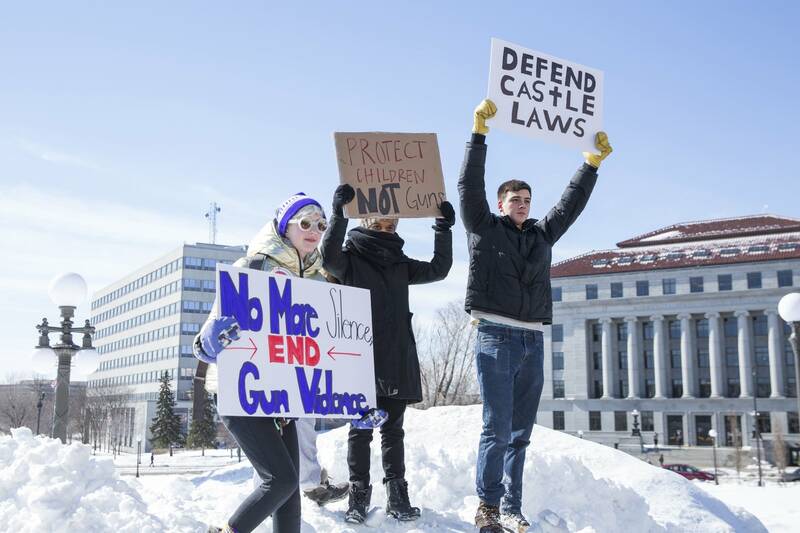 The crowd filled the steps of the state Capitol as the students chanted for gun control measures and denounced the National Rifle Association, saying school shootings had to end.